In creating the ST.150 M2/STR8.150 M2 turntables, Stanton went back to basics while re-engineering these turntables from the ground up. With everything professional DJs need and nothing they don't the ST.150 M2 (standard S-shaped tonearm) and STR8.150 M2 ("skip-proof" straight tone arm) are built to the highest possible standards. 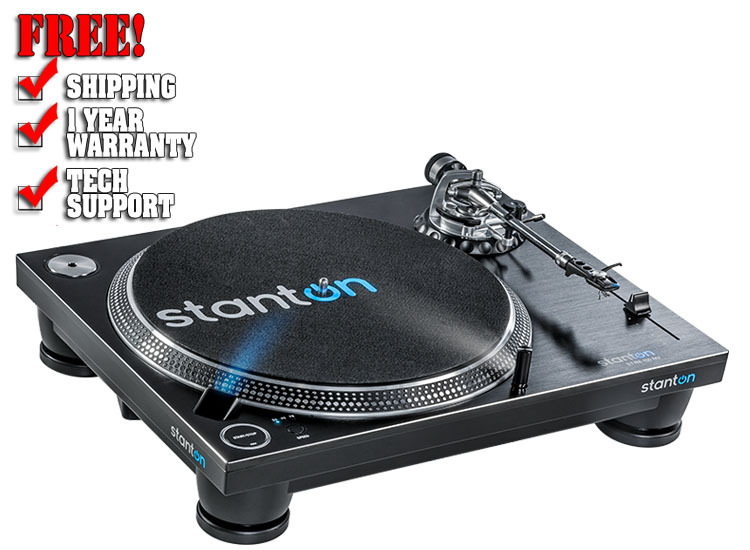 Both models o.er feedback-resistant, durable construction with industryleading torque motors up to 4.5 Kgf-cm, complemented by an ultra-stable platter and tone arm. With additional features including reverse and up to 50% pitch adjustment, the ST.150 M2 and STR8.150 M2 turntables combine 21st century innovation with Stanton's 70-year legacy of excellence.